August 3, 2018: Fixed issue when rounding up/down by 1. Feb 2, 2018: Updated examples to address inaccuracy. August 8th, 2014: Improved support for rounding the result of a calculation-based field. August 6th, 2014: Fixed issue where rounding classes were only applied for the first form on the page. Let’s say you sell business cards. Orders for these business cards must be placed in increments of 500. If you try to order 499 cards, you’re going to get 500. If you try to order 600, you’re going to get 1000 (the next increment of 500). Do you see how this works? This snippet provides a way to round field values (particularly for Number, Quantity and Calculation fields) up to the nearest specified increment. In addition, it provides a way to cap the increment and set a minimum. 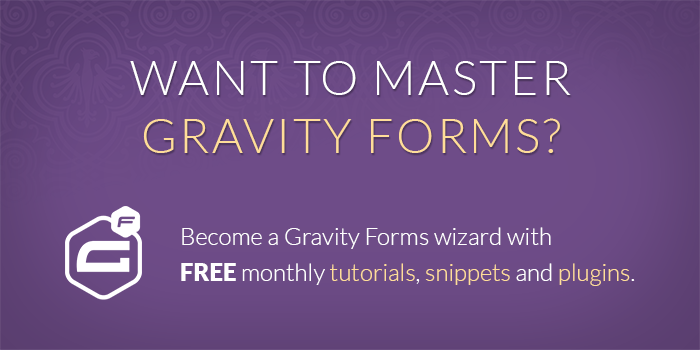 You will want to be running at least Gravity Forms v.1.8 though it may work with some older versions. This snippet requires no other configuration in the code. Continue reading for usage instructions. Open your form for editing. Open the fielding settings for the field you would like to round incrementally. 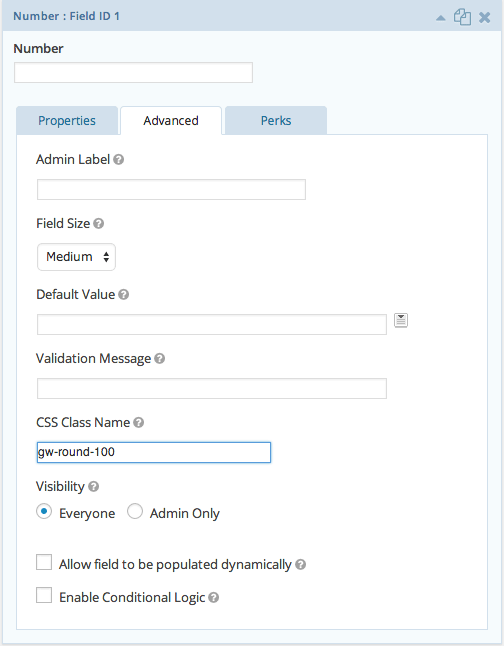 Select the “CSS Class Name” setting and add the “gw-rounding-n” class, replacing n with the increment to which you would like this field to round. What if I’m already using the “CSS Class Name” setting for another CSS class? No problem. 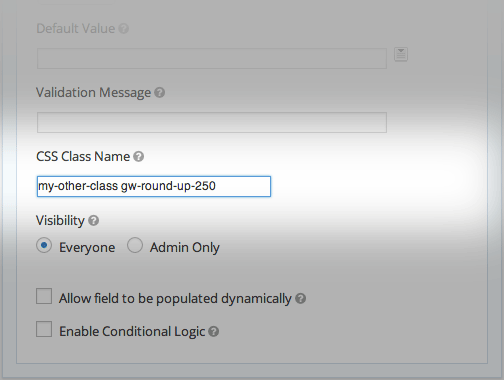 The “CSS Class Name” setting supports multiple classes and that won’t interfere with the special “gw-round-n” class. Just add a space after the last class and add the “gw-round-n” class after it. You know the drill. If you like it, use it or improve it, let us know! What about rounding up to the nearest whole number. Does this apply? For example we get a calculation of 41.7 and we want it to round up to 42. Or if it spits out 13.1333, we still want it to round up to 14. Once again, not sure if this the “rounding” that applies. Thanks for your help. Try gw-round-1 to round to the nearest whole number and gw-round-up-1 to always round up to the nearest whole number. We’re doing some calculations and it spits out a negative number, which is fine, but we need any negative to become a 0. Is it possible to say any “negative number” round to a 0 (zero)? Hi, I’m a fan of this snippets, but this one has trouble, after put round-up-1, when pressing next page the rounded value return to its previous value, it doesn’t keep. For example, 5.2 rounded to 6, when I press the next page the value 5.2 is the one that shows up in the summery and in the final submission. some can help me, please?? Hi Jeancarlos, can you send me a link to an export of your form? I have tried this script to round up to 50. I have a very long form, which I have split up in multiple pages. One page at a time everything seems to be fine, but once you move to a new page the number of items is updated once it gets over 1000. Enter a number of e.g. 3456. This gets rounded up to 3500 (which is correct). But when you move to the next page or submit, this number is incorrectly modified to 50 ! I’m using this in a calculation field with “gw-round-up-1” to round up decimals. It’s rounding down. What might I be doing wrong. If I remove the class, my formula is calculating correctly. David, this is really awesome! I am experiencing one hiccup though – when the number field I intend to round is revealed (either by conditional logic or by proceeding to the next page), it is automatically populated by “choice_1_22_1” (form 1, field 22). This stays true on other fields as well (23, 34, etc). When I change the field to a number, the rounding works as expected. If I hide the number input (again, either by conditional logic or page change) it is reset to “choice_1_22_1” again. It’s really the only thing keeping me from being able to use this snippet. Do you have any thoughts? I’ve tried poking around in the code a bit, but my JS is weak. Hi John, I’m not able to recreate this on my end. 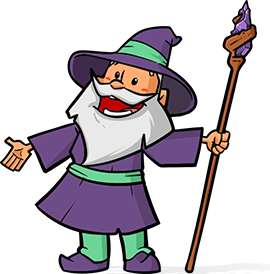 If you’re a Gravity Perks customer, we’ll be happy to provide additional support via the support form.